I was never an athlete. 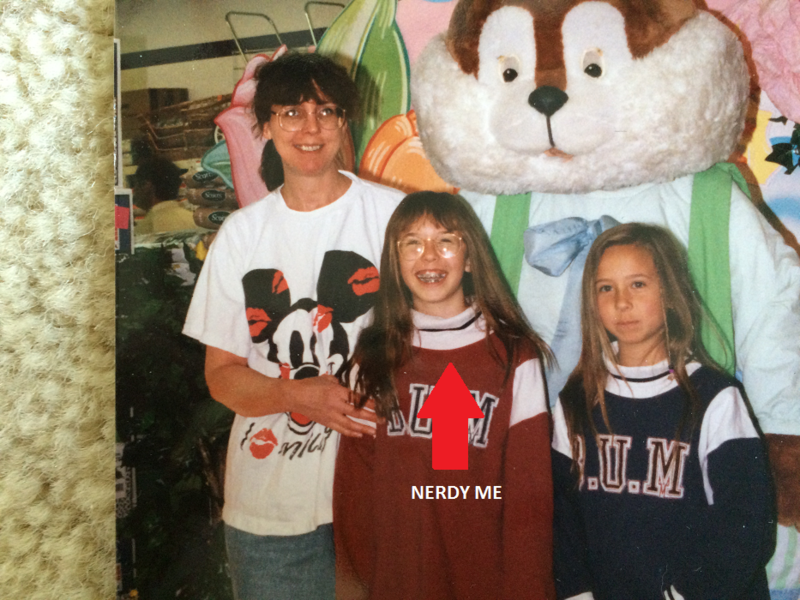 In grade school I was the nerdy girl in grade school gym class who was always the last one chosen for a team. My parents tried to get me interested in sports by signing me up for Tball and soccer but I spent my time on the field picking flowers and chasing butterflies. Throughout college and young adulthood I dabbled in running races and triathlons but I was still slow, awkward and uncoordinated. Me in 5th grade. Told you, I was a complete nerd. Then I had kids. I went through difficult pregnancies, deliveries, and recoveries and after all of this a fire was lit within me. I had a new purpose, inner strength and pain tolerance I never thought possible. If I could withstand 48 hours of labor and an emergency c-section with complications I could do anything! 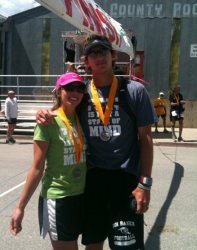 My husband and I after finishing the leadville marathon. Thus after the birth of my first son I began training for all kinds of crazy events. A marathon? Sure! But my first had to be one of the hardest in the country: the Leadville marathon. This is a rugged trail race that starts at over 11,000 feet with a 6000 foot elevation gain; I was just asking for pain. Last year, when I was finally cleared to start training hard again after recovering from the birth of my 2nd son I decided to make the summer of 2015 my year of obstacle racing. I had never done an obstacle race but it sounded right down my alley: running up mountains, crawling around in the dirt, swinging on monkey bars. Things I do almost daily with my 2 young boys. However, I got a little ambitious in my goals: I registered for two obstacle races and not in the regular waves like a normal person would do. No, I had to register for the competitive waves. Well, my year didn’t go as expected. 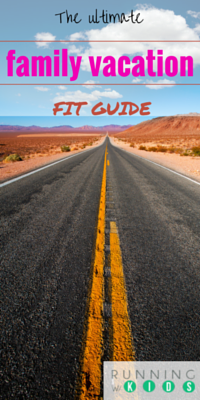 Much of the symptoms I had been chalking up to a prolonged post-partum recovery turned out to be something more and instead of feeling better as I started working out I began to feel worse, much worse. From December to April I was sick non-stop. My immune system just could not seem to keep up. I was constantly tired, extremely bloated and nauseated, had bouts of debilitating joint pain, insomnia, you name it. Finally after months of testing I was diagnosed with celiac and hashimoto’s diseases. These are autoimmune diseases which destroy the tissues of your thyroid and small intestines (which makes your body unable to absorb basic nutrients and wreak havoc on your hormone levels). I was basically starving while my body was literally destroying itself. 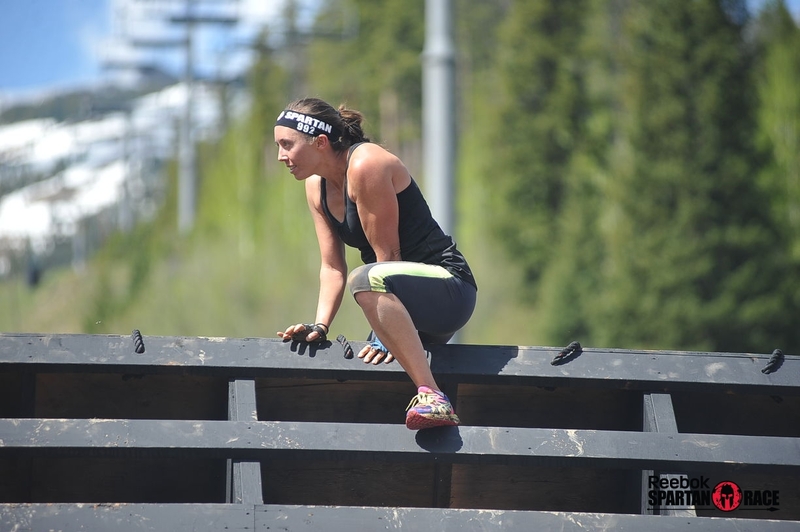 I had already signed up for the elite wave Spartan Beast, a 13+ mile course up the Breckenridge ski mountain in June with over 30+ obstacles (yeah, I know, craaaazyy). However, my training took a major hit when I was sick for so long so I opted to drop down to the open Sprint (4+ miles) and just race for fun. Yeah, right. When I got to the start line and heard those loudspeakers blasting and the energy of the crowd around me that fire within me began to burn, and I mean burn bright. I took off from that start line and didn’t look back. Every time I wanted to stop or give-up on an intimidating obstacle I remembered everything I had been through and how much worse I had felt. So I pushed forward and through. I thought about others who have made it through worse adversity then I have ever known and let their strength guide me. The Spartan races are designed with a bit of devilish intensity in mind. Sure, there are the standard obstacles: high walls to climb up and over, mud pits to crawl through. But many obstacles were strangely challenging: I had to fill a large bucket full of dirt and carry it for a quarter mile (it probably weighed 50lbs). I crossed a pond filled with icy cold water and hauled a heavy log up a steep hill and back down again. I climbed straight up a huge snowfield covered with barbed wire and attempted to throw a spear at a target 40 feet away. After making it through most of these obstacles (or doing the 30 burpee penalty for failing to complete an obstacle), I crossed that finish line I was completely exhausted. I knew I had pushed too hard but I also knew that I couldn’t have given less. Later in the day, I decided to look at the results for fun, not expecting one of the biggest surprises of my life. 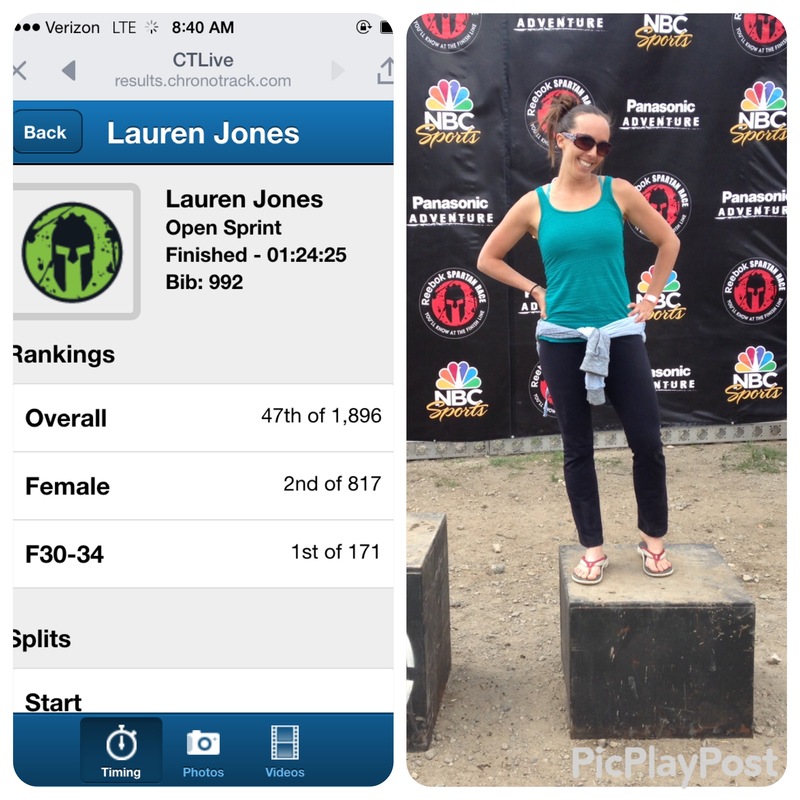 I was in 1st place for my age group, 2nd place for females and 47th place overall. Out of like 1900 people. Wow. I never dreamed that I would complete that race let alone do so well. The second race on my schedule was the Warrior Dash on August 15th at Copper Mountain, a ski area in the mountains here in Colorado. I am not fast by any means. However I am tough. I know how to suffer and I can find a good moderate pace and hold it, no matter how horrible I feel. At this point I was beginning to feel a little bit better. I had been very strictly adhering to the prescribed Autoimmune Protocol Diet. At first I was skeptical as the diet seemed completely ridiculous: no grains, gluten, corn, orange juice, beans, nuts and more completely random foods to avoid. But I began to track my flare-ups to times I “cheated” on the diet which means now I am eating lots of smoothies, fish, buffalo meat, salads, fruit, veggies and a limited amount of rice. I had also been on synthetic thyroid and a ton of supplements for about 6 weeks and was on an upward trend. I was starting to feel some of that boundless energy I’ve always had coming back. 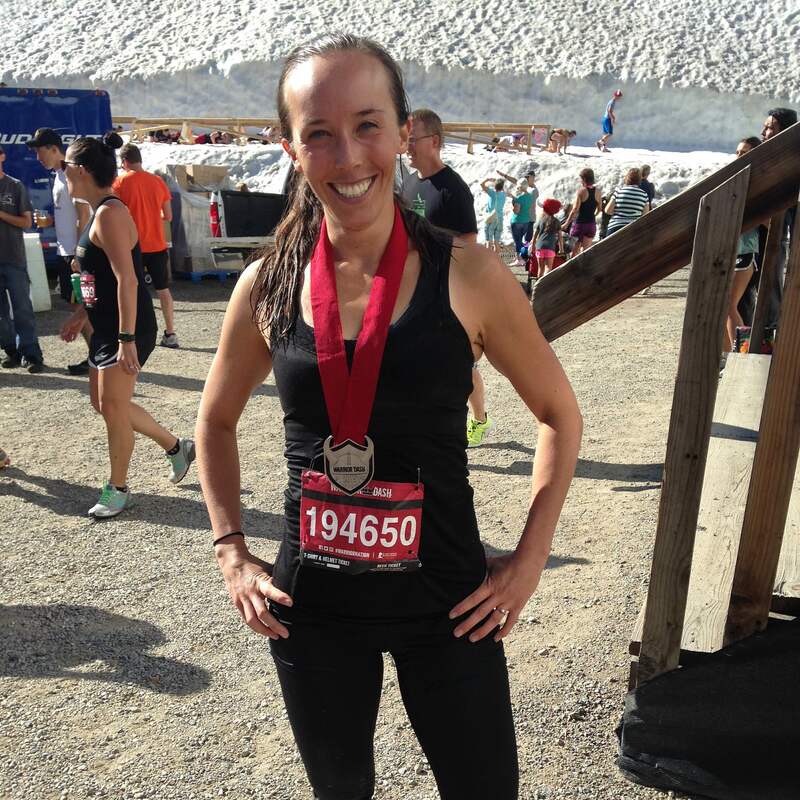 With this extra energy I was able to train for this race unlike the Spartan sprint. I did crossfit about twice a week, ran about twice a week and practiced for the obstacles on the playground with my kids. Probably only half of what I should have been doing and a quarter of what most elites do for training but that was all my body could handle. The start for the elite wave was much different than I expected. It was a narrow corral and after the gun went off, all racers vied for a spot in the front. 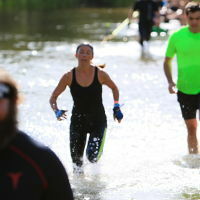 I didn’t realize that there is no timing in Warrior Dash races, you basically have to fight your way to the front and hold your position there. Not knowing this, I made the mistake of starting near the back. After the start I got stuck behind a big group of people and ended up in lines at the first 2 obstacles but then I was free! Since the Warrior Dash is short, only a 5k distance, the key is speed, or at least holding a steady pace during the uphills and taking advantage of the downhills. That was my strategy. I am not fast by any means. However I am tough. I know how to suffer and I can find a good moderate pace and hold it, no matter how horrible I feel. Heck, if I made it through 2 difficult pregnancies and deliveries and a year of hell then I can push through an hour or two of pain. I found that by looking at it this way the obstacles were more of a fun break. A chance to climb or hang or jump. The only obstacle in this race that presented a challenge for me were the obstacles with cold water. There was one obstacle, “the Goliath” which is basically a huge slide into a pool of freezing water. Sounds fun right? Well not for me. For some reason that day my exercise induced asthma or adrenals were acting up and my body did not react well to that water. I was gasping for air and could barely swim to the exit. So now my weekly regime includes some cold water immersion. Ugggg, I hate cold showers. I tried but I was spent, I could barely keep the pace I was going let alone kick it to the end. So I finished in 3rd place which was much better than I ever imagined. In reality I don’t know how it happened but I remember crying at the finish line. If you’ve read my previous post (like “Nerds can be athletes too“) then you know that I would not consider myself an “athlete” by the conventional definition. I also learned that the 3rd place finish earned me a free ticket to the Warrior Dash World Championships in Nashville in October. Where I would be competing against some of the best athletes in the world, women who are USATF national champions and Olympic hopefuls, all for bragging rights and amazing cash awards ($30,000 for first place, $15,000 for second, $5000 for 3rd). Coming from the uncoordinated, slow as molasses girl that spends more time on the playground then in a gym I want my journey to show everyone out there, women and especially moms that YOU are an athlete. There is never a best time to start and there are no physical or mental barriers that you can’t overcome. I choose to do things that are beyond what I think myself capable of because you will never truly know your limits unless you push against and through those boundaries. So for anyone out there, especially women and moms who are considering signing up for an event or an obstacle race what are you waiting for? There is nothing stopping you but yourself, now it is time to ignite your inner fire, get out there and race! A typical OCR training workout with my boys: “Sled drag”! If I were to compare the two races I would definitely recommend the Warrior Dash to anyone looking to do their first obstacle race. I wouldn’t go so far as to say it is easy by any means but anyone could do it at any point in their fitness journey. Many of the people I saw finish the course after me walked the entire course, which is fine and fantastic- they got up the courage and confidence to get out there in the first place which is sometimes the hardest part. As far as which event I personally prefer, I would say the Spartan. The obstacles are more varied and challenging and the courses take place almost entirely on trails up mountains, my favorite! With my new found passion for obstacle course racing I want to encourage and provide support for other women and moms who want to find their inner athlete, confidence and train for their first race. Check out the new page HERE I created just for this and join me on my journey as I train and compete! Mom of 2 tough boys and future OCR champ! ← Let your kids get dirty!